, November 27, 2018 — Kordata, announced today that they will participate at the International Western Area Conference for NACE: being held November 27-29, 2018 at the Sheraton Seattle Hotel in Seattle, WA. 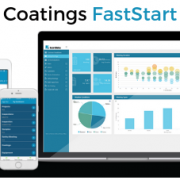 Kordata will be featuring their Protective Coatings mobile data collection demos along with discussions around mobile data collection as it relates to testing and inspection in the protective coatings industry. 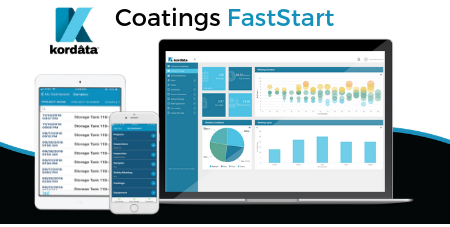 Kordata will be exhibiting at NACE to showcase the innovative Coatings FastStart field mobile data collection software specifically designed to extend one’s data workflow securely and efficiently. Kordata’s is a field data collection software that is designed to specifically around both NACE and SSPC standards. The result for Kordata’s customers is increased ROI, accuracy, completeness, and accountability for all data collection activity. About NACE: NACE serves nearly 36,000 members in over 130 countries and is recognized globally as the premier authority for corrosion control solutions. The annual conference This conference seeks to present papers on various methods of corrosion control, featuring unique educational presentations, forums, and new technologies on the exhibit hall floor. This will be your opportunity to learn about local corrosion issues from experienced local experts.